Today is a big day for me. 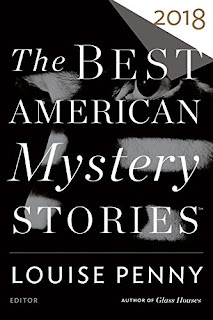 The Best American Mystery Stories of 2018, edited by Louise Penny and Otto Penzler, hits the shelves. And my story Windward, originally published in Coast to Coast: Private Eyes from Sea to Shining Sea (from Down & Out Books, edited by Andrew McAleer and me), is in it. It is truly one of the biggest thrills of my writing life and my life in general. I’m still in disbelief – still pinching myself. Still floating on air. When we embark on this writing journey we have things we want to achieve. It’s a given that we want to write good and compelling stories. But aside from that I think most of us want to attain some kind of recognition, both from our peers and from a general audience. To that end we might have certain goals: getting published at all, getting published in more prestigious/bigger circulation magazines. Maybe winning an award or two. 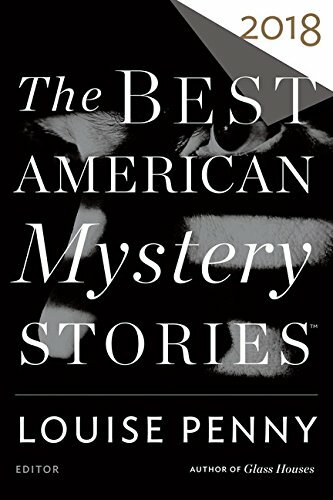 And getting into The Best American Mysteries series. I woke up one morning a few months ago to find an e-mail from Otto Penzler saying that Windward had been selected for BAMS. Michael Bracken wrote a couple of weeks ago about his tears of joy upon hearing the news. My first reaction was total disbelief! I thought someone was scamming me, spamming me. Playing a prank on me. I’m so paranoid about being scammed and I believed this so much that I e-mailed fellow SleuthSayer and BAMSer John Floyd a copy of the e-mail asking if he thought it was legit. He did! So with his imprimatur I responded to the e-mail, relatively sure that I wasn’t going to be talking to a Nigerian Prince trying to scam me out of my Beatles and toy collections. Venice is a little piece of the exotic on the edge of Los Angeles. That got me thinking about setting my story there and showcasing the colorful and sometimes dangerous streets of Venice Beach in my story “Windward” for Coast to Coast: Private Eyes from Sea to Shining Sea. 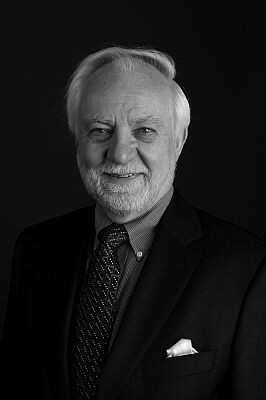 So I gave Jack Lassen, my PI, an office (complete with 1950s bomb shelter), amid the old world columns and archways of Windward. With a setting like that I needed a crime that would be equally intriguing and what better fodder for crime than the façade of the movie business, where nothing is what it appears to be and a hero on-screen might be a monster offscreen. Ultimately, Venice is more a state of mind than a location. But either way, a great setting for a story. The stories in the book are arranged alphabetically by the author’s last name. Since my last name begins with M, the exact middle of the alphabet I always end up in the middle. I remember in school how for whatever things they were doing they often went from A to Z, but sometimes they switched it up so that the people whose names started at the end of the alphabet got to go first. But the Ms in the middle always stayed in the middle. So I’m in the middle again in the book. But that’s fine with me. I’m just glad to be in it, amongst such august company. It’s also a thrill to be with friends and fellow SleuthSayers. And I’d also like to congratulate John Floyd, whose story Gun Work, also from Coast to Coast: Private Eyes, is in this year’s BAMS. And to fellow SleuthSayers Michael Bracken and David Edgerly Gates, who also have stories in it. And to pal Alan Orloff. So these last few weeks have been very eventful for me, winning the Macavity for Windward, and with Broken Windows coming out and now BAMs. 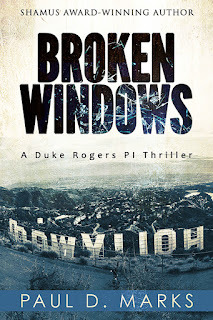 And I want thank everyone who voted for Windward, who bought Coast to Coast, the authors in it, the folks at Down & Out, and the same for those who reviewed Broken Windows, talked about it, bought it, etc. And thanks to our own Rob Lopresti for his review of There’s An Alligator in My Purse, my story in Florida Happens, the 2018 Bouchercon anthology. Wow! What a time! 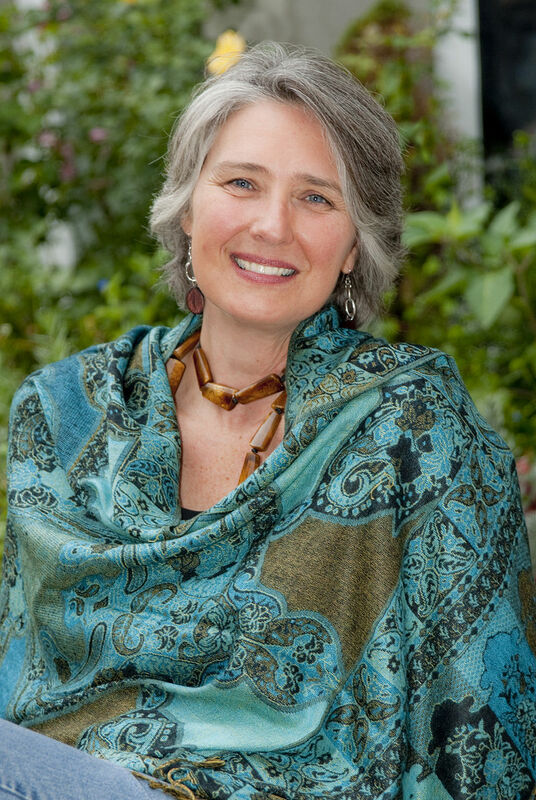 Congratulations on your story- a bit of a coup for the editor of Coast to Coast PI as well! Thanks, Janice. On both counts :-) . Congrats, Paul! And to everyone included! Paul, you're having a good run. Congrats. See?--I told you it was real. Congratulations to you, John, Michael, and David! It's quite an honor. Congrats!! How very impressive. The story sounds wonderful. Congrats, Paul. And to your fellow authors. Keep enjoying this special time to the fullest. Congratulations, Paul. You might be in the middle of that impressive pack alphabetically, but I'm at the bottom of it. Last but not least? To correct that I'm thinking of writing under the pseudonym, "Henry Aaron." Congrats, Paul. Hell of a feeling, ain't it? Congratulations on all this wonderful news, Paul! You deserve it — and so does your story! 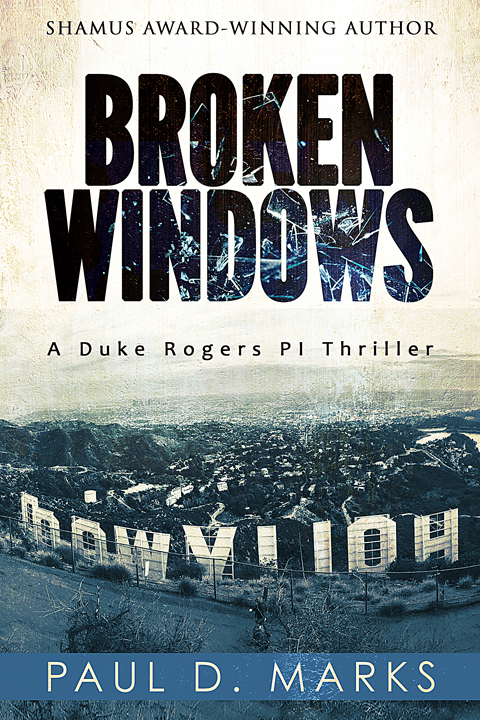 With each of your wins and achievements more readers can learn about those dark alleys and mean streets that are found in Los Angeles, and about the people who gravitate to this oh, so Noir-ish locale. You capture the City of Angels with such truth and color and mystery. Congratulations, Paul. Yay! Paul!! Clapping like crazy from Canada! Hi everyone, Thank you all for your very nice comments. I really appreciate them. Hope you don’t mind my responding to everyone in one one response here. Hope I didn't miss responding to anyone. If I did it is inadvertent. Thanks, R.T. Well, you know what happens with good runs… Slump must be coming :-) . And yes, John, you did tell me it was real, but I’m still pinching myself. And we were very glad to have you. And Congratulations to you again! Thanks, Maggie. I’m trying to enjoy to the fullest – more pizza and ice cream :-) . Brian, I think that’s a good idea. I’ll come up with a suitable pseudonymn too to get me at the head of the line. And congratulations to you, too! Thanks, Rob, and yes, it is a hell of a feeling. Still in wonderment. Thanks, Josh. On all counts. Thanks, Gayle. And I hope you’re right. It would be great to cross pollinate. Thanks, Melodie. So that’s what that sound is. I thought it was thunder since we’re supposed to get rain today :-) . Thanks, Michael. And congratulations to you, too! Thanks, O'Neil. I agree :-) .